Visit the Humane Society on Saturday, Nov. 10 for Pet Santa photos. What cuter way to kick of the holiday season than with your pets and Santa? 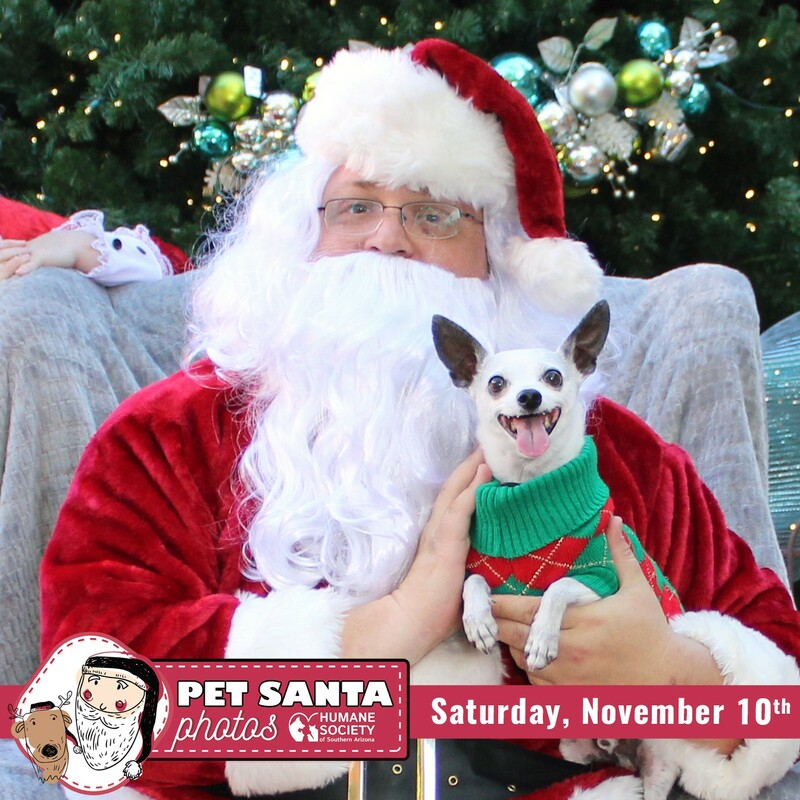 The Humane Society of Southern Arizona (HSSA) are encouraging well behaved and vaccinated dog and cat owners to visit for Pet Santa Photos on Saturday, Nov. 10 from 10 a.m. to 2 p.m. at HSSA Main Campus on 635 W. Roger Rd. Come dressed in holiday costumes with your pet or do pet solo photos with Santa! Photos will cost $15 each. All purchases are tax-free and the proceeds will go towards funding in caring for homeless pets at the Humane Society. "This is one of my favorite events of the year," said Diana Canon, Chief Development Officer. "We bring our dogs each year to get their photo taken with Santa and use it as our Christmas card. It's a great feeling knowing we are supporting the homeless pets at HSSA." The Humane Society of Southern Arizona has saved over 1 million pets in its 74 years of operation. The shelter takes pets who have serious medical needs and animals who are in need of a home.